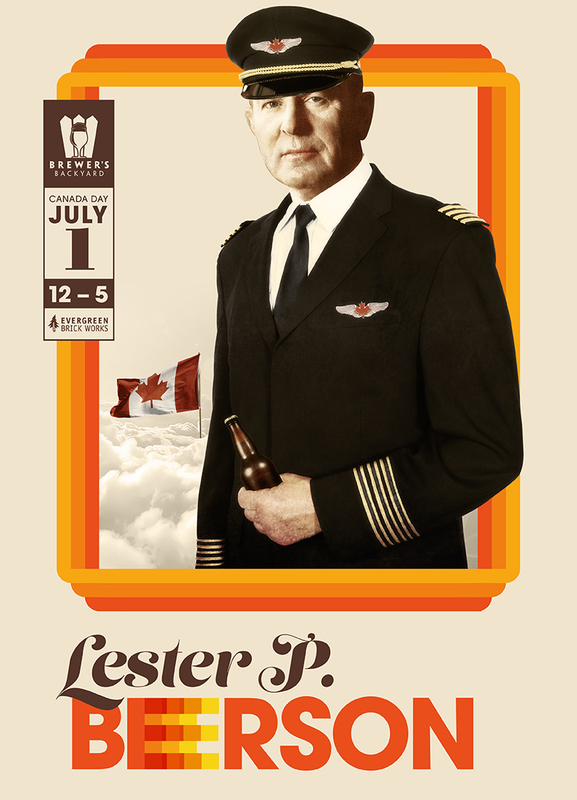 The Brewer’s Backyard returns on Canada Day with our next event, entitled Lester P. Beerson Day. On this celebration of our great nation we’ll be welcoming the tasty beers from Great Lakes, Left Field, Collective Arts, Steam Whistle, Oast House, Brimstone and Railway City, along with delicious eats from Kanga Meat Pies, DF Catering and the Midnight Snack Co.
We’ll also have a special beery treat on Canada Day, as the Brewer’s Backyard did an exclusive collaboration brew with Great Lakes – a raspberry ale brewed with cascade hops and wild yeast cultivated from an apple orchard in the Niagara Escarpment. It should be a delicious beer for Canada Day and it will be available in limited quantities only at the event.